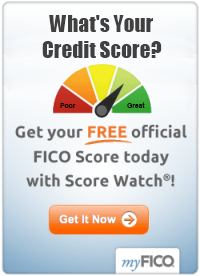 These tips on how to end credit card debt were submitted by Pat Micely of Lakewood, Ohio. I am finally out of credit card debt. I hope others can benefit from reading this. The first and hardest thing I had to do was cut up all the cards, and I mean all my credit cards. Then, I worked on paying them off one at a time I had five cards, with a total of $32,000 in balances. The largest one I kept for the last. On the first card, I would pay the most that was due each month, which totaled $500. For the remaining cards, I would pay more than the minimum due so my outstanding balance would begin to go down slightly. It took me paying $500 a month for six months to pay off the first credit card. Paying the $3,000 was very hard, but I plugged along until it dwindled down to zero.. Finally, I started to see the light at the end of the tunnel. After the first card was paid off, I took the same approach with the second card, and so on. My goal was to get everything down in 42 months, which I did. Since I had a card with 6.24% interest, I did keep that one, but now keep no more then a $600 balance on it. Now I use what I refer to as the 30-day rule. If I want something really badly, I wait 30 days. Then, I see how I feel about buying the item after that time. If after 30 days I still want it, I buy it. Also, I keep a log of things I think I would like to buy, and review it every month. This exercise is quite helpful. You'll find that some things are simply not as important as you thought they were 30 days earlier. Also, I shop at garage sales and second hand stores like Goodwill to save money. I can pick up a lot of things for a small cost. Nowadays many people shop these places. It just makes sense. 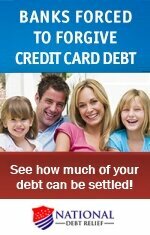 I hope my tips on how to get rid of credit card debt have given you something to consider.